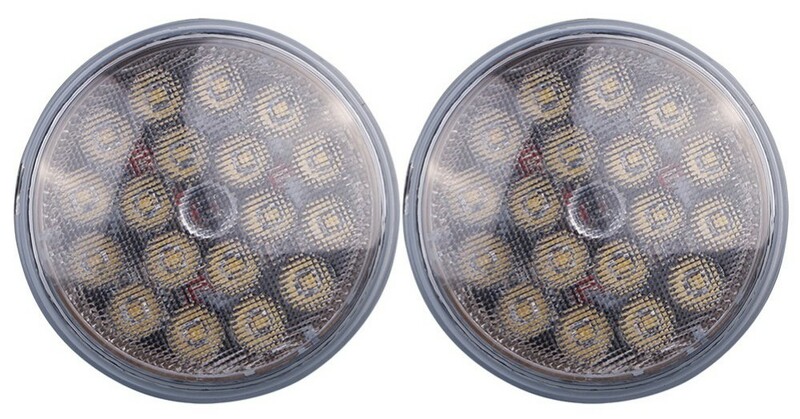 CLICK FOR PAR46 LED AVAILABILITY UPDATE! Welcome to the CSOBeech collection of Aviation related PDFs. The material on this site is NOT current. All material provided on this site is provided as is and any express or implied warranties, including, but not limited to, the implied warranties of merchantability and fitness for a particular purpose are disclaimed. In no event shall the site owner, administrator, author or contributors be liable for any direct, indirect, incidental, special, exemplary or consequential damages however caused and on any theory of liability, whether in contract, strict liability or tort arising in any way out of the use of the information provided on this site, even if advised of the possibility of such damage. If you have a PDF that you think the Aviation Community would appreciate, please the file or send me the FTP info and I will try to fit it onto the page. Use the button to return to the Home Page. Right Mouse Click, then "Save As" will put the file into your machine at a place you select. ABS Hosting Bonanza/Baron/Travel Air POHs - Become a Member! ACK E-01 ELT Manual.pdf 19-May-2007 10:48 885K Uses Conventional "D" Batteries! 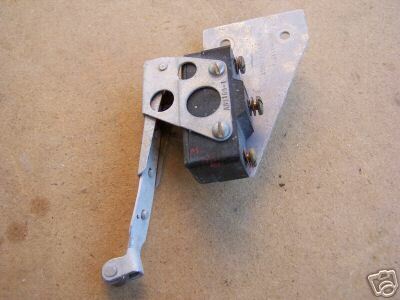 Used in Landing Gear & Flap Limit Switches. Carrying one of these in your little box of spares in your plane might be a good idea. Imagine being on a trip and your flaps get stuck because one of the limit switches failed. CSOB Source of BZ-R31 HERE Only $14.28!!! You can get them from Online Components HERE for an amazing $5.44! Or you can get the BZ-R31 for $8.23 if you buy 5 from Allied Electronics HERE. Allied also has many other micro switches for your Beechcraft. 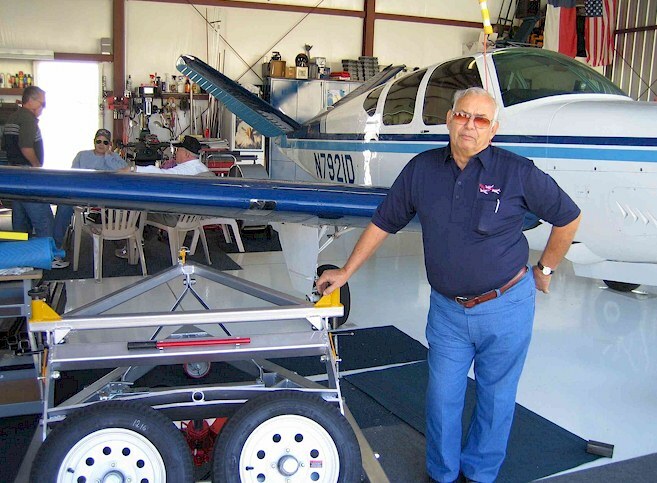 Beech Lister Greg G. reports that Bonanzas D-4866 through D-9068 use this BZ-R31 switch. Check your parts catalog to be sure you get the proper part for your serial number. Here is the BZ3YT switch available for about $24 used in later Baron landing gear systems and possibly >D-9068 Bonanzas. AKA MS25383-1. Check your parts catalog to be sure. You will only get the switch, NOT the lever actuator arm. 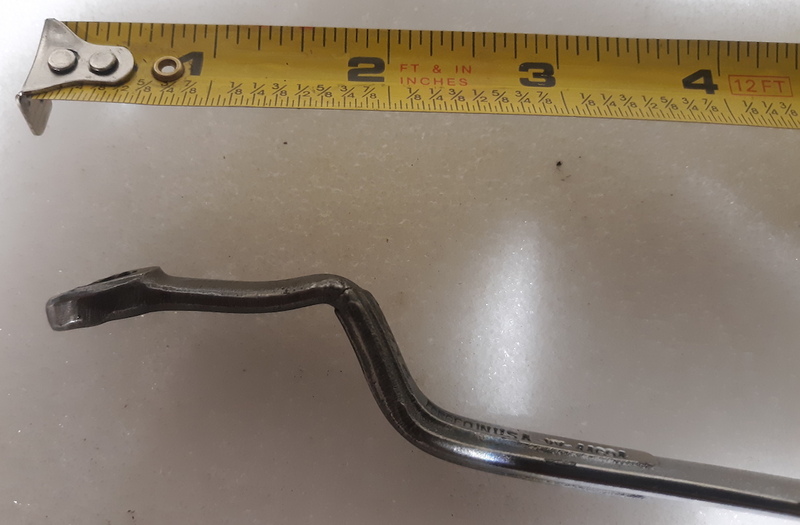 If you need this arm, it can be found at Allied Electronics HERE PN: AD5721R for $14. AKA AN-3169-1 a data sheet on it is HERE. The arm sleuthing courtesy of Beech Lister Jim H.
Here is more switch info from Beech Lister Greg G.
$5.01 apiece for 5, if your A&P accepts this commercial equivalent as airworthy. You might have to buy 7 to meet the minimum order size. at $26.05 apiece, but that is exactly the right part number and should be ordered, since it's available new and should be acceptable to any A&P. Not Cheap, but pays for itself in fuel savings and engine diagnostics! Get the Fuel Flow option and oil temp probes installed and connect the EDM 760 to your GPS and know your instantaneous NM/gal and Fuel Remaining at Destination. Fuel exhaustion is so "Old School"! I would install Fuel Flow linked to my GPS before I bought a wiz bang GPSS or WAAS stuff, but that's just me. After all, one of the biggest causes of engine stoppages is fuel mis-management. Additionally, if your engine ever had a runability issue, the data download of the EDM760 can be sent to any number of engine experts for analysis and greatly shorten your troubleshooting time. Here's a helpful article by Mike Busch: "Interpreting Your Engine Monitor" Just register with Avweb to view it, it's CSOB free! IMHO, the Model 2620 is an excellent 24v choice for maintaining your batteries. It will not boil or overcharge your battery. Been using mine for 4 years and my Concorde batteries are still quite healthy. Good choice for doing gear swings or when at the avionics shop or in cold weather climates for that extra "edge" in cranking power! Don't be a Gear Collapse Statistic! CHANGE YOUR ROD ENDS AND ACTUATOR ROD SPRINGS SOMETIME BEFORE 4,000 TT some factory manuals and the ABS organization recommend 2,000 hours! See below for what happens to a 7,000 hr TT Rod End and see how the tensioning spring is nearly "Stacked"! This is also known as the "run it 'till it fails" maintenance philosophy. Visit the Rod End Page of CSOBeech.com HERE Still not convinced? BE SURE YOU LUBE THIS ROD END AND THE IDLER ARM BUSHING UNDER THE BOOT AT EVERY ANNUAL! Do you have Sloppy Nose Steering? 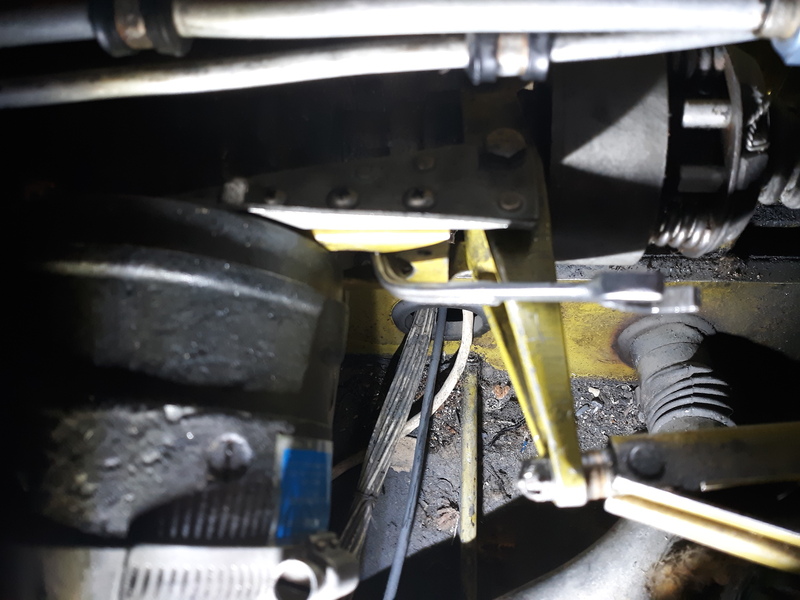 See the Steering Page HERE for places to remove linkage play. The Bushing #48 on the idler arm in the Part Diagram is often neglected. If/when you change bushing #48 ask your mechanic about drilling it and fitting it with a grease zerk fitting. 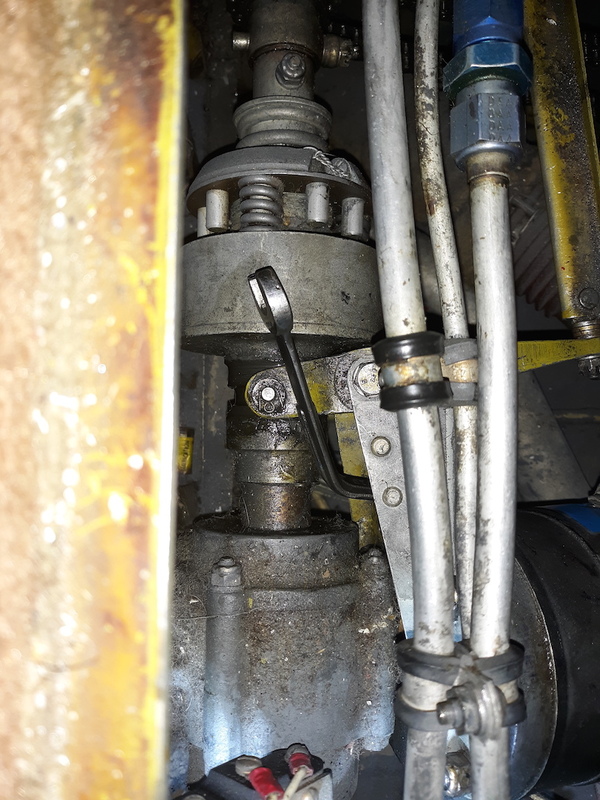 An experienced Beech Lister has reported that you DO NOT have to remove the co-pilot rudder pedal shaft to remove this idler arm. Simply remove the outer hardware and rotate the arm aft to clear the nose gear cavity, then slide the idler arm off the shaft! You can use the Aurora Rod Ends available from Aircraft Spruce and others if you want, however, compare the strength specs for yourself, then decide. CSOB1 is sticking with the Heim bearings, thank you very much! 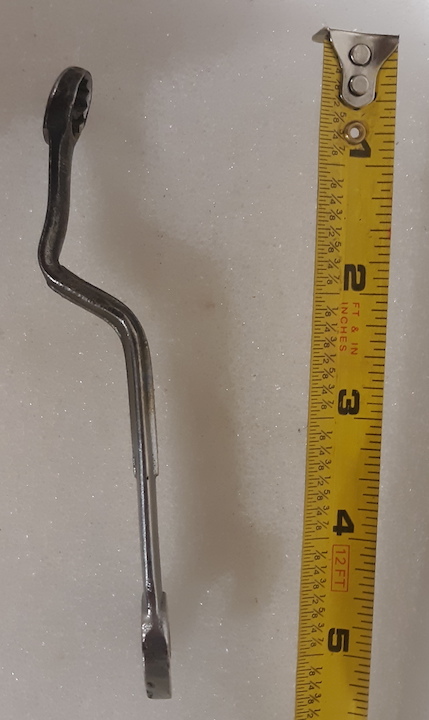 The HM5 is a smaller rod end 5/16" x 24 that was used in the earlier nose gear linkage designs (with HM6 at the transmission arm). The next iteration of gear rods used a heavier 3/8" x 24 shaft which is the HMX5 (and the heavier HMX6 at the transmission arm). One can look up the specs of the HM and HMX rod ends in the Heim Catalog. You will note that the rod ends WITHOUT a lubricator (grease zerk or flush grease fitting) have significantly higher strength. You and your mechanic decide what you want to do there, especially if you find the factory selection to be without a lubrication fitting. As of 9/13/2018, HEIM had no stock on HMX5 rod ends, so here is a SealMaster Rod End bearing catalog that you can compare specs to the HEIM specs. You might look at ARE520 on Page J-15. Also, HEIM lists the SealMaster ARE-5-20 as an interchange for their HMX5 in this Interchange Guide. Look at Page 4 of the HEIM Interchange Guide for the reference. I believe the ADNE5-323 is a PN that Beech brought to market when they moved off the Heim brand HMX5 rod end and went to a rod end made by Aurora Bearing. Check the specs on the Aurora rod ends HERE to compare to the Heim product. 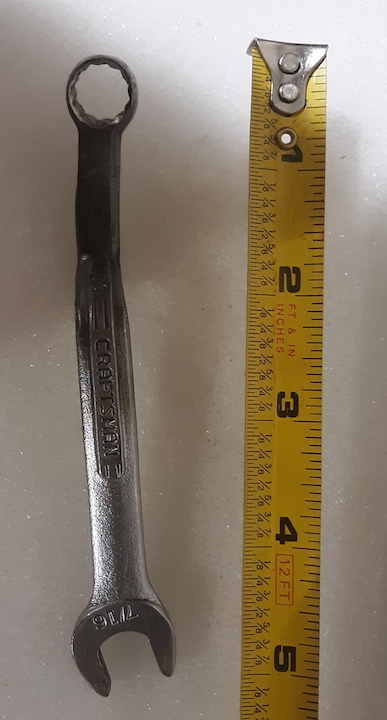 This ADNE5 PN might likely appear in later model Beech parts catalogs. Checking your older IPC or removing your existing rod ends is the surest way to determine what rod ends your aircraft was fitted with from the factory. Or, as I think about it, you could take a caliper under there and check the diameter of the shaft. If 5/16" (nominally 0.3125") then you have a HM5, if 3/8" (nominally 0.375") then you have a HMX5. If you need any HEIM rod ends, please check out the CSOBeech.com offering below. Your purchases support this site. M2001 Digital Voltmeter Documentation.pdf Much More than a Voltmeter! Skyforce IIIC Manual.pdf 02-May-2007 11:42 927k The CSOB's Moving Map with Airways! TCM crankshaft seal replacement procedure. TCM has received field reports that the oil filter mounting stud on the oil filter adapter housing of some engines have become loose allowing the stud to screw into the housing and provide less than the specified stud extension. Check this SB to see if it applies to your engine. TCM SB dealing with conversion of A-Series engines. TCM SB dealing with excessive crankcase pressure evaluation. TCM SB dealing with cracked cases and the Go/No-Go specifics and repair options. To Provide A Leak Test Procedure To Insure Integrity Of Basic Fuel Pump Fuel Seal On Fuel Pump Assemblies Manufactured Between July 1, 1998 And May 31, 2000. IO-240, IO-360, IO-346, O-470-G7, O-470-G10, O-470-GCI, IO-470, GIO-470, IO-520, LIO-520, IO-550, GIO-550, LTSIO-360, TSIO-360, TSIO-470, TSIO-520, TSIO-550, TSIOL-550, GTSIO-520 model engines with P/N 642932-1, 2, 3 & 4 basic fuel pump manufactured between July 1, 1998, and May 31, 2000. Any of the above listed engine models that have had a new or rebuilt engine driven fuel pump installed between July 1, 1998, and November 26, 2000. Any of the above listed engine models that have had an engine driven fuel pump overhauled using a new P/N 642932-1, 2, 3, or 4 basic fuel pump between July 1, 1998, and November 26, 2000. If you fly in IMC for much at all, please consider some form of Voltmeter or alternator out annunciation light for your panel. Early warning of an alternator failure or bus voltage problem BEFORE the battery is DEAD is very helpful, IMHO. Big airplane saving tip follows: If you experience an alternator failure in flight (and don't know how long you were without charging because you don't have a voltmeter or alternator out light), if you extend the gear with the battery PLEASE give a check of the crank counterclockwise to confirm that you have a FULL extension and only about 1/4 turn to the mechanical stop of the transmission sector gear. When your plane is on jacks sometime and the gear is down, give a few turns of the crank CLOCKWISE and see how few turns it takes to break the nose gear down lock arm from over center. Click HERE to get a visual of what about 8 missing turns looks like on the down lock V-brace. You really want to make sure, via the crank, that your weakened battery got the gear completely down.